All Purpose Flour - 25 lb. All Purpose Flour - 50 lb. Create hearty artisan breads and specialty whole grain breads with this high gluten premium wheat flour! 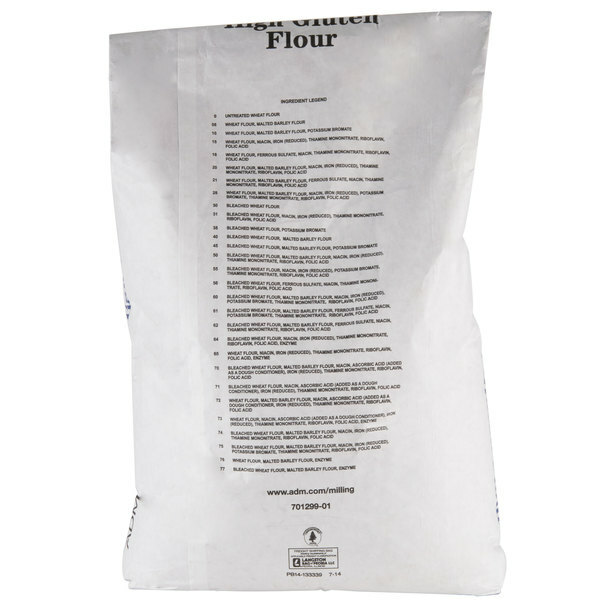 Keep your bakery or restaurant in good supply with this 50 lb. bag. Essential for making bagels and Kaiser rolls, this flour is also ideal with frozen dough, hearth breads, and thin crust pizzas. 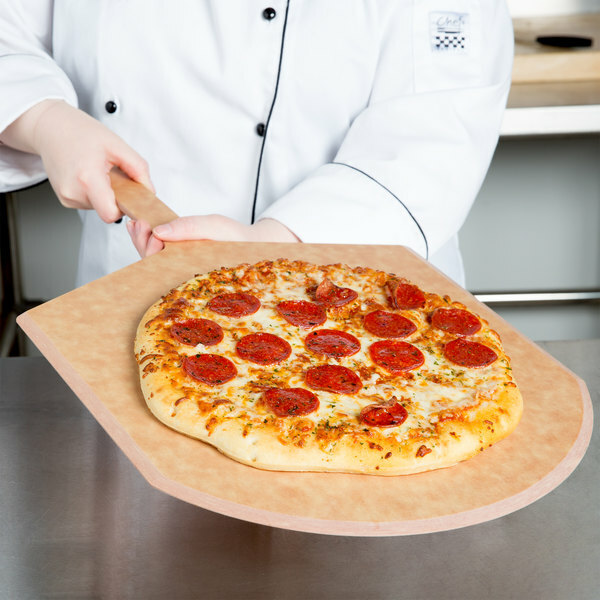 Vital wheat gluten is a low cost, natural source of protein that provides strength in dough, reduces breakage, and allows your foods to hold their shape well. 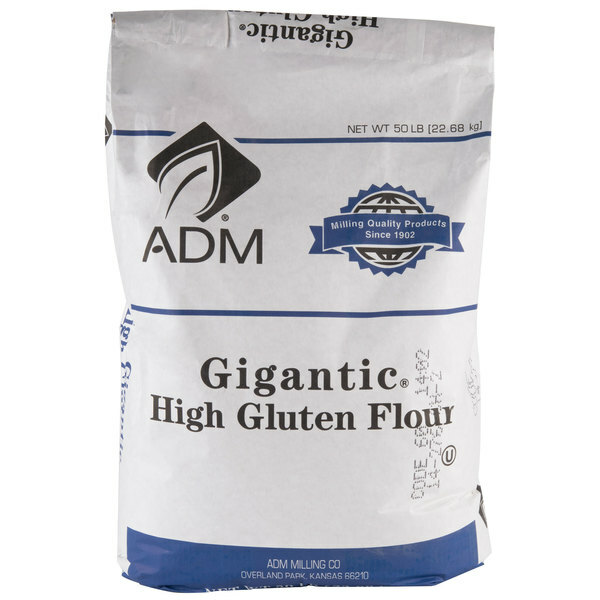 This high gluten flour has a protein content of 14%, which directly relates to the amount of gluten in the flour. Its high protein content ensures production of hearty, crusty, chewy breads that will keep your patrons coming back for more! High gluten flour has its advantages over other types of flour. It has excellent absorption properties in whole-grain breads, enhances structure in cereals and snacks, and extends the shelf life of your enticing baked goods. This bleached, enriched flour gives elasticity to your breads and baked treats that allow them to rise higher with a finer crumb and more consistent texture. Stock your kitchen with this high gluten flour and discover how many popular recipes you can prepare! Sold in a 50 lb. bag. Overall User Rating: High Gluten Flour - 50 lb. The high gluten flour is amazing and perfect for our yeast breads. 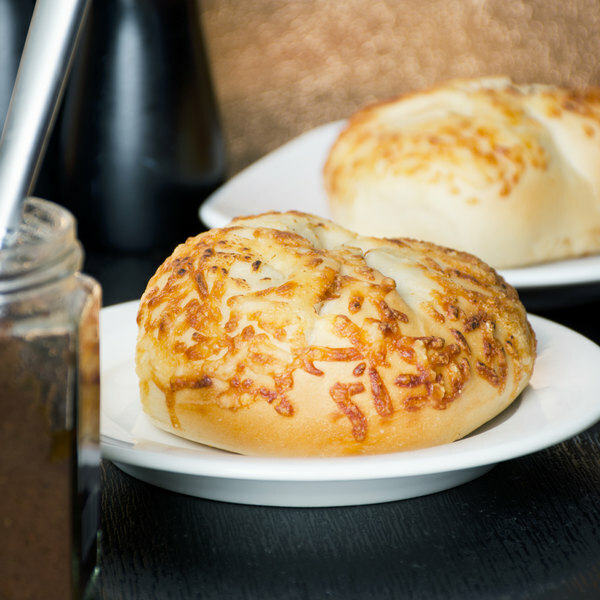 Really helps the dough rise and adds a light and fluffy texture to our rolls and bagels. This has to be our favorite type of flour. We use it in a lot of our recipes in our restaurants and it has a great price too! This product is great. We use it everyday and has never given us any problems. Also the price is the best I can find among my suppliers. I dont understand the gigantic name, it makes no sense. The product is great for breads and doughs. excellent flavor and long shelf life. very soft and smooth texture. When i use it as a thickener, it imparts almost no flavor. Gluten helps with the flexibility of the dough, there is no breaking when you beat and roll this dough out. It's a really good product. This flour was pretty good, it was a bit clump but it had a good flavor and for the price, it was a good buy and would recommend purchasing this product.